A children's castle which is used as a cloak room. 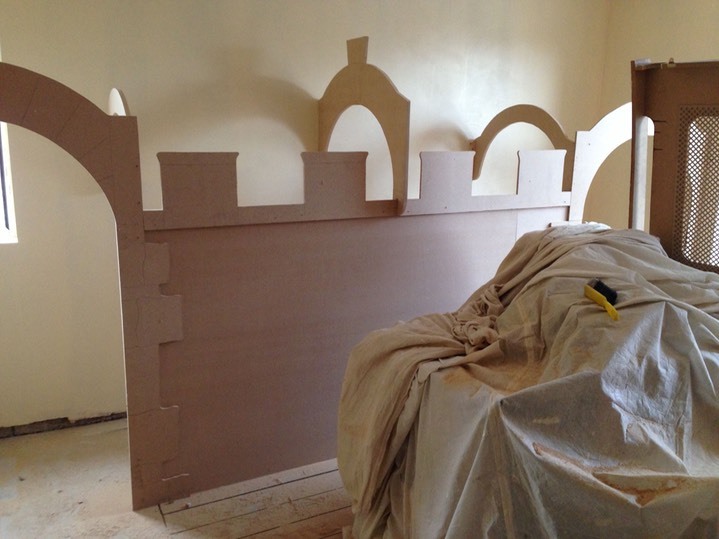 It will be painted to look like stone walls etc. The flat front wall will be a chalkboard as well.